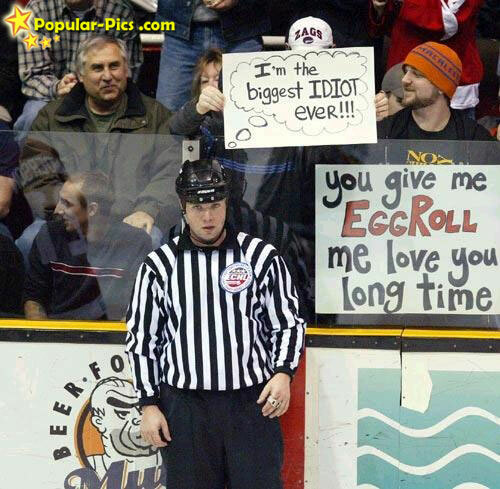 Wrong sport, I know, but I couldn't resist. I mean, really, when my dad can wake up from a leg-twitching sleep, glance at the TV, and say, “the ball crossed the plane,” it really shouldn’t take a GROUP of referees who are actually at the game twelve times as long to figure out the same thing. Stupid system. They should just hire a guy whose entire job it is to sit on his couch and take calls from the head ref at games, then make a snap decision based on the best camera angle. Or they just should ask the announcers, who in today’s booth are always hyperopinionated and make a judgment instantly anyway. This will take less than ten seconds and 99% of America will be happy with the obvious decision. Anyway. On to Optipessimism: in short, UNC is bowl-eligible – who really cares? – and Carolina pasted a hugely inferior opponent, 49-24. The game was actually close through halftime, but Wake was simply too bad to overcome itself to make a run at a game. Optimism: Remember all my complaining last week about Renner regressing, blah blah blah? Renner went nuts on Saturday, making up for lost ground with a career day: 21-28 passes, 338 yards, 3 TD’s, and most importantly no interceptions. Those stupid decisions that have plagued him in games past were almost entirely absent this weekend. The one miscue came on a hurried pass where Renner pretty much hit a defensive lineman in the face with a floater. Good thing fat people wearing shoulder pads can’t catch. (I’m not being a fattist – they really can’t. Try wearing a wetsuit three sizes too small then raising your arms over your head to catch something. Same concept.) The 96-yard drive Carolina had before the end of the first half to put some true distance between the teams was a thing of beauty. You can’t ask for a better close-out to a half than that. Pessimism: It’s nitpicky, but I think we got a better sense of where this team falls in games against teams like Virginia, Miami, and Clemson. Wake is having a really bad year defensively. Jim Grobe looked like a zombie on the sidelines, and miscue after miscue led to Wake turnovers and Carolina offense on a short field. Optimism: The stars came out in force for the Tar Heels today, none more so than tailback/budding superstar Gio Bernard. Bernard’s stats: 27 carries, 145 yards, 2 touchdowns. Delicious. Bernard took advantage of a modified blocking scheme; unlike previous games where UNC generally went man-on-man on the offensive line with the occasional double-team, today Carolina’s line blocking was mostly a zone scheme. This seemed to be boom or bust for Bernard – he broke more long ones than in any other game this year, but he also got stuffed behind the line quite a bit. I suppose the jury on this new scheme is out until the Heels play an opponent with a bit more punch than Wake, but Bernard certainly took advantage when the holes were there. Pessimism: Pass blocking continues to be a concern. Early in the game, Renner threw often from designed rollouts. 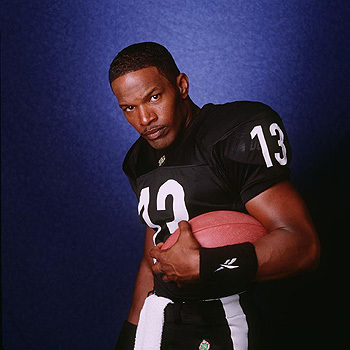 The “naked boot,” as it is sometimes called, works well when the defense throws a lot of pressure at you, but the downside is that it cuts off half of the field unless your quarterback is Jamie Foxx from Any Given Sunday. Bryn Renner is definitely not. The resemblance is striki...okay, maybe not. In the third quarter, offensive coordinator John Shoop modified the game plan to include more shotgun, including a few nifty shotgun-plus-dropback plays. For Carolina to be successful in the future, the shotgun needs to take a much more prominent role in the offense, or the O-line recruiting needs to be boosted in a serious way. We don’t have the horses to keep up with edge rushers. Shoop is still SO fired after this season. Optimism: Finally, Carolina had a great performance from the entire receiving corps instead of just Dwight Jones (who had a Megatron-like day as usual). Erik Highsmith was the complementary star, grabbing two TD’s on 4 catches for 87 yards. Of course, Jones himself had at least two plays where he simply monstered a defensive back who had excellent coverage to make the catch. On both plays, the DB ended up draped all over Jones’ back, drawing a flag. No matter. Jones caught it anyway. Pessimism: Eh. Nothing to criticize really with the wide receivers (ain’t that a first!?). Optimism: Finally, the defense got some turnovers! 5, actually. To be fair, most of those were because Wake was terrible – most of the turnovers were more giveaway than takeaway, but credit the defense for being opportunistic enough to jump on the loose balls. Pessimism: On the flip side, this gives defensive coordinator Art Kaufman confidence in his 15-yards-off-the-ball, bend-but-don’t-break defense. Ugh, crap, gosh darn it. I want a defense, not a game of patty-cake. Kaufman is also SO fired after this season. Pessimism Only: Special Teams. Holy cow, is the game involving feet bad. Missed field goal by the walk-on kicker Thomas Moore. 4 awful punts by punter Thomas Hibbard, a blocked punt, no kickoff that went inside the 5, and one kickoff that would have gone straight out of bounds if not for a Wake brain fart. Horrible, horrible display all around. I still hate the spread punt formation. Final Word: Perhaps more interesting than the Carolina game against Wake Saturday afternoon were the events of Friday. In Indianapolis, UNC administrators went in front of the NCAA Committee on Infractions for their “hearing,” which is a hilarious and ridiculous dog-and-pony show. It’s ridiculous because both sides already know what they agree on, what they don’t, and what the arguments are – but the whole thing is confidential and sealed, so the pomp and circumstance goes on behind closed doors. Look, the COI has probably known since the Davis firing what its position was going to be; I strongly doubt anything any UNC administrator could say would alter that position. The fact that the COI says it is going to take 8-12 weeks to render a decision is the most absurd part of this whole soap opera, since it has had its collective mind made up for about three times that long already. More interesting is the John Blake angle. The “resigned” assistant coach, suspected by the NCAA of being the main conduit for wrongdoing at Carolina, could get hit with a show-cause penalty by the COI. Not coincidentally, on the Wednesday before Carolina’s hearing, Blake broke a long silence and went on record with Sports Illustrated detailing his responses to the allegations. I have to say, Blake still doesn’t sound squeaky clean – there are too many inconsistencies, too many unexplained pieces of the puzzle. But the revelation that Blake refused to reveal information on his friend and agent Gary Wichard because Wichard had recently been diagnosed with end-stage cancer and wanted to protect his privacy was a resounding one. I really do think that if the COI hits Blake with the show-cause, he could sue the NCAA for damages. And I think he’d win; the NCAA would essentially be rendering him un-hirable by depending on hearsay testimony and anonymous sources because it can’t compel testimony. And frankly, the NCAA is such a running joke in the media and among the fans nowadays that it wouldn’t exactly be surprising to see Blake go after them regardless. This might seem extreme, but I suspect when all the dust settles on the Ohio State, UNC, and Miami, as well as conference realignment, BCS hate and the obvious push for pay-for-play, there could be a serious push to get rid of the NCAA altogether. It’s totally unnecessary for the money-making sports; why not spin those off from the Olympic sports and the rest of the non-revenue generators? But that’s another article. For now, revel in the unceasing march toward a meaningless bowl sponsored by an extremely rich company in the midst of an economy-sucking recession to play in a game that no one will remember come February. Heck, UNC might end up vacating all its wins this season, just so it can appear that much more supplicant to the great and mighty toothless NCAA. Ain’t football grand? Go Tar Heels! This entry was posted in UNC and tagged Art Kaufmann, Bryn Renner, Committee on Infractions, football, John Blake, John Shoop, NCAA, Optipessimism, scandal, Wake Forest. Bookmark the permalink.